“A Masterpiece for the Master” is exactly what 18 of us (Franco & Christina Bottley from Longwood FL, Matt Cox from Orlando FL, Marc & Maria Dickie from Orlando FL, Joanne Ferdinando from Ormond Beach FL, Jeff Hertel from Milwaukee WI, Daniel LaPointe from Longwood FL, Mike & Dana Lewis from LaPorte TX, Sherrye McGregor Lugo from Williamsburg VA, Virgil & Carolyn Ramey from Pinckney MI, Carlos Rodriguez from Hampton VA, Jon & Christine Touchstone (with sons Caleb and Joshua) from Oviedo FL, Jerry Wheeler from Denver CO, and I) had in mind when we arrived in Longwood FL on Monday, July 11 to join Greg and Paige Rike at their studio, along with their ace assistant, Kristy Jones. And when you see the finished product, which we hope to have by sometime in early November, I think you will agree that, by the abundant grace and mercy of our Father and our Lord, we succeeded. Jesus Christ: The Diameter of the Ages looks to be about 18 hours of priceless truth presented dynamically, poignantly, and humorously, while being enhanced by Franco Bottley’s heart-grabbing graphics and versatile use of state-of-the-art technology. I think you will love it! We began each day with prayer, manifestations, and inspiring music (which JCDA will contain LOTS of). We prayed for each person who was praying for us, and if you are among them, and if you are among those who contributed financially to this project, THANK YOU! We could not have done what we did without the prayer support we had. 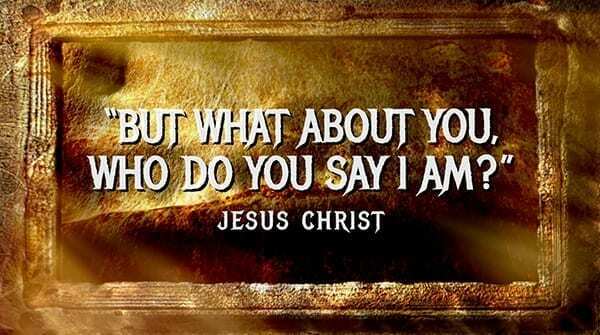 Today the Lord Jesus Christ has given you and me that same spirit, which God gave him (Acts 2:32-33). It is you and I whom he has commissioned to carry on what he “began to do and teach” (Acts 1:1). It is we who are to re-present him and give people the Truth that will bring them into the light and set them free. Behold, now is the day of salvation, and “there is no other name under heaven whereby men can be saved” other than Jesus Christ (Acts 4:12). Let us give our all to magnify him, the Living Truth. And now, he-e-r-r-r-e’s Da Crew! Thanks so much for allowing us to be a part of this production. The word that comes to mind is…MAGNIFICENT! We await the finished product with great excitement, believing that it will lead people around the world to a deeper and more accurate knowledge of our Lord Jesus and his great accomplishments, and motivate them to follow him enthusiastically. When you started teaching, you talked about how to know Jesus is to love him. What I heard led me into a deeper love for my Lord, and that love leads us to repentance, casts out fear, and motivates kindness and obedience to the Lord’s commands. We returned to the grind of life in this world with a renewed and re-energized commitment to serve the One God and One Lord who have given so much for us. When I walked into the studio in Orlando on July 11, my expectations were high for the class, but I never could have imagined just how terrific it would be! What did Jesus know during His earthy ministry and when did He know it? Was there anything He couldn’t know? Why is he the “Diameter of the Ages?” My answers to these questions are more informed now than they were before I heard John Lynn teach in his inimitable, jovial way. I actually feel closer to my Savior, and I love him even more, if that’s possible. My family says I’ve changed. My mind was blown in the best way, and I still feel the effects. The fellowship with our studio team was real, loving, and warm. I can’t wait for the video to be released! 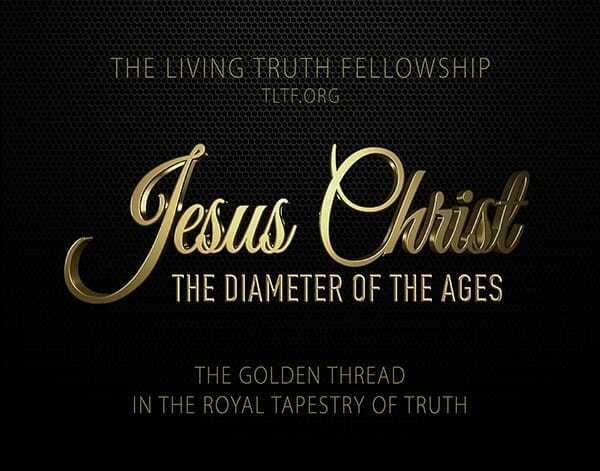 I have been a Christian for almost 40 years, and I have never heard a teaching about Jesus Christ that is anywhere near as good as Jesus Christ: The Diameter of the Ages. Regardless of where you may be spiritually, I highly recommend it. If you invest your time in this superb presentation, I guarantee you will grow in knowledge of, and in relationship with, our Lord Jesus Christ. I sure did! THANK YOU John Lynn and The Living Truth Fellowship for the wonderful job you did! First, I thank John for his hard work and dedication to make this class available. I learned more than the Word of God during the filming. He taught me courage and strength in the face of adversity. Even though he was not at his best, physically, he still accomplished what he set out to do. What a great lesson for my own life. All I can say is, Bravo! Like assembling the pieces of a jigsaw puzzle, JCDA beautifully puts together into a glorious mosaic the nuggets of wisdom and truth in God’s Word so as to show the big picture of its main subject, Jesus Christ. This presentation should help anyone love and appreciate our Lord Jesus Christ even more. I am excited for everyone who will experience it. Thanks to everyone involved for your labor of love. What a privilege to be a part of such an adventure. My heart goes straight to Ephesians 4. Seeing the Body of Christ standing with unity of purpose to make known such truth concerning the Son of God was amazing. Taking part in this opportunity is something for which we are forever thankful. The original 6-hour audio of JCDA that we have on our website was a landmark in our spiritual walk. And this 18-hour video production will be just that for many others. With the world being as it is, people desperately need to know the Lord Jesus, and JCDA presents him in a way that we have never seen before. To John, the Board of Trustees, the Elders and contributors, we say Thank You. Our prayer is that we can get JCDA to people who are searching for God’s truth so that they can know him who is The Truth, Jesus Christ. I went to the filming of JCDA in Orlando in order to see Jesus, The One Man who loves me like no other, bigger and brighter. I went to see my dear brother John teach the Word about my Lord, who loved me and died for me so that I can walk with him today and live with him forever. I also went to fellowship with some of my called out brethren, and found that they love me too. I went to deepen my love for my Savior, who is now more magnified to me. I was so blessed to get to know and understand better our Lord Jesus Christ. The anticipation of getting up each day and knowing I was going to hear John share God’s Word so magnificently was a joy. I especially enjoyed the fellowship with all the other believers in attendance and getting to know them better. This experience was truly a great blessing. There is one God, the Father, and one Lord, Jesus Christ. Placing the lordship of Jesus Christ in my heart has enabled me, a human being, to have the guarantee of everlasting life. This teaching, Jesus Christ: The Diameter of the Ages, has shored up my relationship with my Lord, and helped my Christian walk with others. What a terrific week! It was an honor to be present at the JCDA filming. I know this teaching provides the biblical basis to answer anyone’s questions regarding the true identity of Jesus Christ, which has been distorted by the traditional beliefs of men. Anyone truly seeking to know the Son of God will be assured of his identity upon completing this class. What a great job by John, Franco, believers, and film crew. I cannot express what an honor it was to be there and how much of an answer to my prayers this presentation is. It was a privilege to participate in the filming Jesus Christ Diameter Of The Ages. It was evident to me while I watched this class how much the world desperately needs this teaching. So many have never even heard of the living Christ, and most others who have heard unfortunately have been presented with a Jesus whom the Bible doesn’t teach. I believe this masterful work is the fitly spoken word to this dying world. Outstanding! Getting to spend an entire week focusing on our Heavenly Father and His Son, Jesus Christ, was a precious treat. The sweet topping on each day was the time spent with the class crew, all of them lovers and followers of truth. The fallacy of the “blessed” Trinity, who Jesus really is, and the magnificence of God’s plan of Redemption for humanity were brilliantly expounded and taught with genuine forthrightness. I look forward to the ways in which our Lord will use this class to open the eyes of many by bringing them not only to salvation through Christ, but also to a knowledge of the truth about walking with him. The filming of JCDA was a tremendous experience, a fantastic blessing. John was on fire. He was the proverbial “tan, rested, and ready.” I think the green screen setup actually helped those of us in the studio audience to better focus our attention on the teaching than if John had been on a traditional set. Other than a lectern or chair and table, John was it. Franco still needs to add the virtual set, songs, slides, and a couple hilarious movie clips. I look forward with great anticipation to the finished product, which will be like viewing it for the first time. The fellowship was like fellowship should be: coming home to family. Meeting new brothers and sisters was like meeting long lost family members—no stress, just joy and love. I am also grateful for the chance to have driven with John to and from Orlando. Elizabeth was unable to make the trip so I was blessed to help him drive. All in all the whole event was an adventure with the Lord exploring the far reaches of the Word and discovering, again, just who Jesus is. 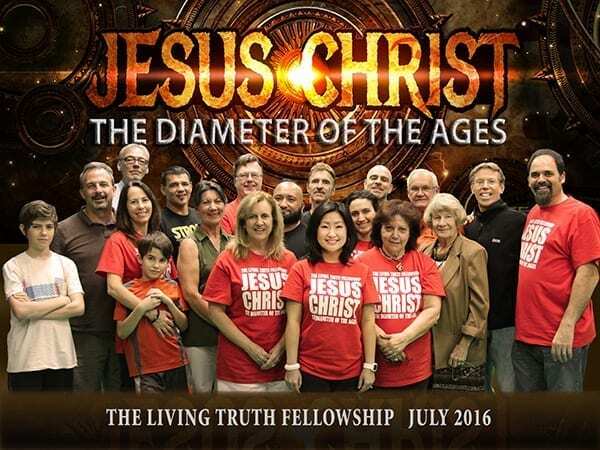 It was truly a blessing to be a part of the filming for “Jesus Christ Diameter of the Ages”. Not only was it awesome to hear John teach, but it was wonderful being around my brothers and sisters from all over the country. To see the entire process of making this class has been incredible, and I am so excited for everyone to hear and see it! JCDA comes at a much needed time in our world, and it’s impact is going to be monumental. You do not want to miss it! My heartfelt thanks goes to each of these stalwart saints, with whom I now have a special bond. We had an absolute riot! The blood test I had on July 20, the day after I got home, showed that my numbers (RBC, WBC, Platelets) are all down, meaning I have less energy, so I know it was their love, plus God, Jesus, your prayers, two oxygen tanks (free, courtesy of Marc’s doctor friend) the Bemer electromagnetic circulation stimulator (courtesy of Daniel), a throat steamer (courtesy of Christina), MRET water, Marigold bars, Epic meat bars, and Dana’s foot rubs that energized me to get through a rather grueling endeavor. THANK YOU for praying for Franco and me as we put the finishing touches on this vivid portrayal of the most unique man ever.